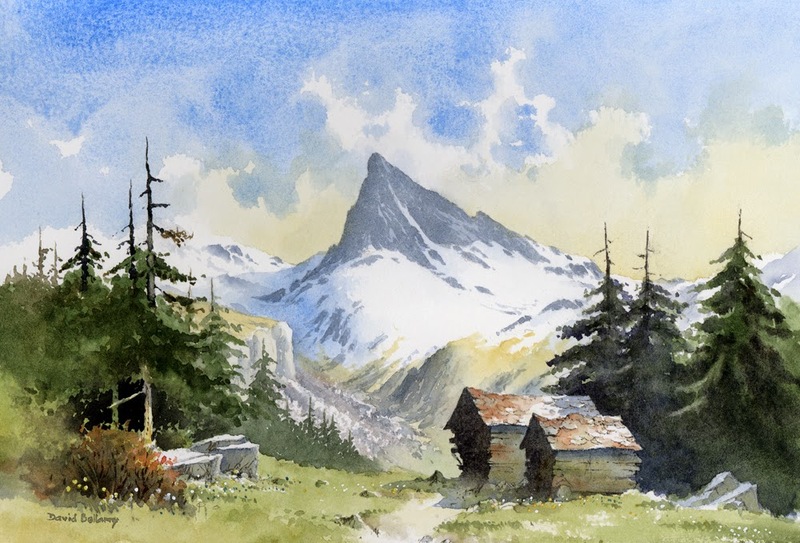 This entry was posted in David Bellamy, Greens in watercolour, mountains in watercolor, painting holiday, Sketching travel by David Bellamy. Bookmark the permalink. Excellent as always. Think you meant 2015 for teh holiday dates though? Hi Paul, Yes, of course it is 2015, thanks for spotting that mistake. Keep up the good work D ! What a majestic subject beautifully depicted in your painting. I would be interested to know how you decide what to include and what to leave out. Love how you have created a sense of distance and perspective by the descending line of paler conifers. Sorry that I will not be able to join you on your painting exposition next year.